Nandita Mukand presents her debut solo exhibition titled The Material of Time at Flaneur Gallery, curated by Kumari Nahappan. Nandita is a visual artist whose artistic pursuit is grounded in an awareness of how urban life today impacts our experience of time and consequently the meaning we give to our own lives. Nandita is intrigued by how old trees, having existed for many generations, have eavesdropped on the dreams and aspirations of those who lived in another age, just as they listen to the chatter of those who wander below their branches today. The pace of change in today’s world is rapid, yet it is perhaps these ancient trees that hold answers to eternal questions; in the midst of massive change in our environment and ways of living what really changes at an existential level? Nandita’s paintings are inspired by natural surfaces built up over time. The surfaces of nature reflect the phenomenon that bring about their creation- weather, geography, geology and the inherent intelligence of each cell within the biological forms of trees, lichens, moss, fungus. These surfaces record the passage of time occurring continuously, steadily over decades oblivious to the many ups and downs of human fortune. They are a reminder that everything is always in a state of flux yet despite the seeming disorder and chaos there is an underlying order. Her sculptural work is made up of newspaper and organic material. Newspaper with its myriad urban stories is dissolved into the organic material to reflect upon the fact that our elaborate urban lives and its stories will ultimately be subsumed into the natural order. (Newspaper represents ideas of the everyday and the political as well as the ephemeral). The organic materials (henna, turmeric, coffee, sand, grass, seeds, vegetable matter, beeswax) embody ideas of instability and transformation. 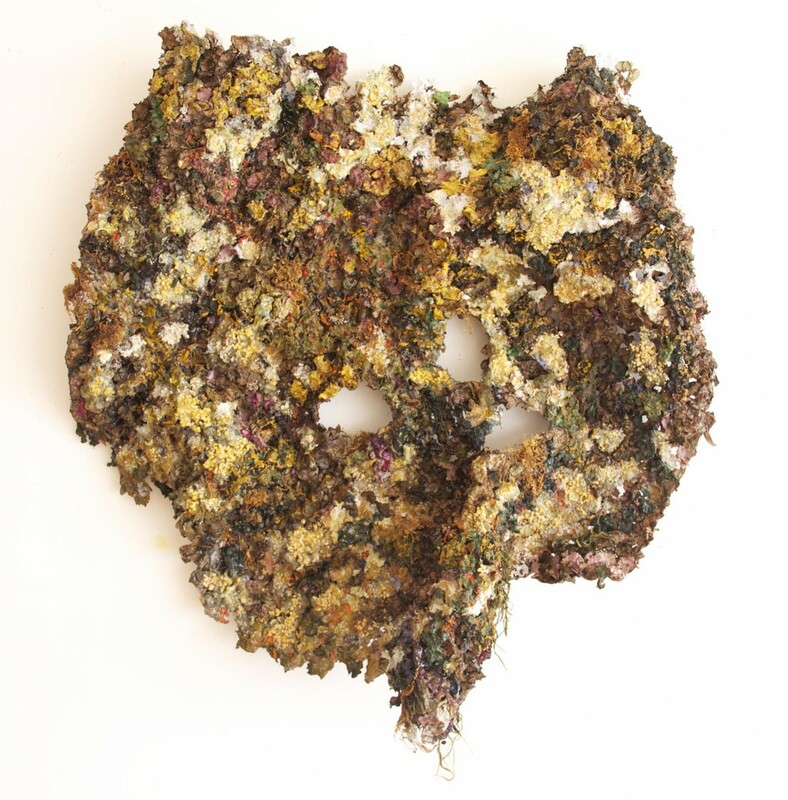 Nandita’s influences range from the principles of Arte Povera that explored the intersection of nature and culture (often using the simplest of materials to express these ideas), to the Japanese aesthetic of Wabi Sabi (based on nature and Zen Buddhism) that finds special beauty in the imperfections of rusticity. In 2008, Nandita quit her corporate career of eight years with MNCs like Proctor and Gamble and Reckitt Benckiser to devote herself fulltime to artmaking. She graduated with a Bachelor of Fine Arts (First Class Honours) from the LASALLE College of the Arts and Goldsmiths, College of London in 2014. Upon graduation she was selected for the LASALLE Award for Academic Excellence, conferred for being the most outstanding BA student in the Fine Arts Faculty. While at LASALLE she was also awarded the LASALLE Merit Scholarship for 2 consecutive years. Most recently she completed an artist residency at the Bilpin International Ground for Creative Initiatives in Australia. Nandita is an alumnus of the Indian Institute of Management, Calcutta and has a degree in Electronics Engineering from Lucknow University.